In order for Hermine or any other tropical depression, to intensify there must be a pathway for heat energy from the ocean surface to enter the atmosphere. For Hermine, the conduit may have been one of the two "hot towers" that the Global Precipitation Measurement mission or GPM core satellite observed on Aug. 31 at 4:09 p.m. EDT (2009 UTC). A hot tower is a tall convective cell in which updrafts are strong enough to lift precipitation as high as the top of the troposphere. Updrafts this strong mean that a lot of moisture is condensing in this storm cell as the rain forms. The closer a hot tower is to the low-pressure center of a tropical depression, the more of the heat energy released in that tower is likely to "energize" the tropical depression, leading to a deepening of the low pressure center, and ultimately leading to an acceleration of the winds that circle the low-pressure center. Two "hot towers" were seen south and east of the center. 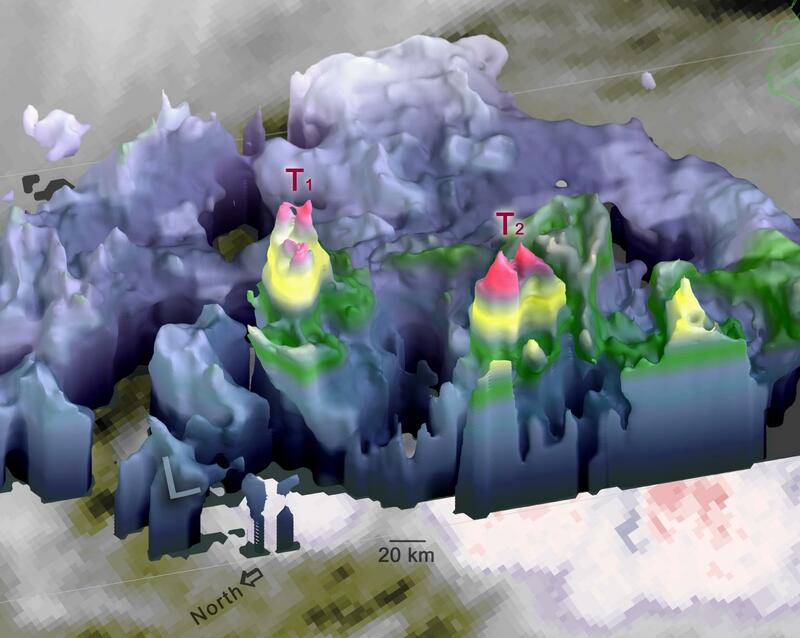 "One of them was closer to the low pressure center, and so it is more likely to be intimately involved with the strengthening of Hermine," said researcher Owen Kelley of NASA's Goddard Space Flight Center in Greenbelt, Maryland who created a 3-D image of the storm using GPM data. "Repeated observations of cloud-top heights by geosynchronous satellites showed that these two towers were persistent features, lasting approximately 9 to 12 hours, from the evening of Aug. 31 into the morning of Sept. 1. Research performed by NASA scientists suggests that vigorous convection that persists this long can eject enough energy into the atmosphere to influence the fate of hurricanes and other tropical systems," Kelley said. Post-tropical cyclone Hermine moving toward northeast U.S.
Hurricane Season Is Heating Up. So Is the Planet. Coincidence?